Morning time can be crazy time! Add in kids, timelines, a little extra traffic, and it can be a rough start to the day. Do as much as you can the night before, including packing up your purse, kids backpacks, and stuff in the car. Get a great night’s rest with an earlier bedtime. Moms and Dads need bedtimes too! As the mom or dad, get up 30 minutes earlier than your kids. You are getting yourself together ahead of getting everyone else up. Simplify breakfast with smoothies, ready made microwave foods or cereal to go in a cup. Create a happy sound track to the morning with great music. Keep a simple routine with simple steps for the morning. Get everyone out the door with a hug! Workshop fees $295.00 including materials as well as breakfast and lunch Saturday, and breakfast Sunday. Thanksgiving is here! And so are your guests! Just take a few minutes to do a little last minute organizing. Keep it simple sweetie. Set a plan in motion and stick with it, whether it is one type of dressing or how you fix the turkey. Last minute changes are what make us crazy. So make a simple plan and stay on course. Room by room 30 minute decluttering can make a difference. It is a little like sweeping the dust under the carpet, but sometimes all that is needed is a quick once over on clutter. Be sure to have your family redistribute items that are in the wrong rooms. Gather your paper together, place it in your home office and set a date to do paper triage next week. Freshen up your home with seasonal touches purchased at your grocery store. Fresh flowers, miniature pumpkins and scented candles add warmth to your home. Delegate to friends and family. Everyone wants to share and contribute. Be sure to share responsibilities with those at your holiday gathering. If no one offers, a polite invitation to help includes everyone. Get help with dinner from your local grocery, Sams, Costco or other source. Order your turkey and have everyone bring a side dish. There are many ways to delegate. Remember your holiday is about people and connections, not perfection. Enjoying your gathering is the most important part! Take a few minutes to write down 5 things you are grateful for this holiday. It will remain with you longer. Next week KHOU will be sharing Audrey’s success story! Look for a date and time soon! 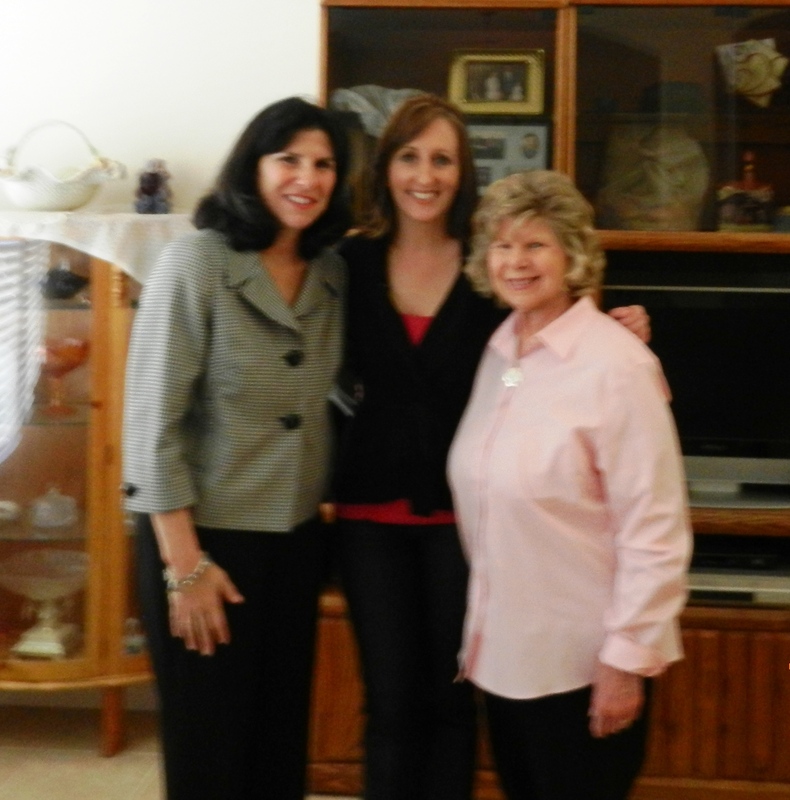 Here is Tiffany Craig, KHOU reporter, Audrey and I together in Audrey’s new home. I know you will want to learn more about Audrey’s courage in making big changes in her life. The holiday season is just around the corner! That means there’s a lot to be done in a short time. The holidays are about giving and sharing, as well as helping those in our community. Plan your holiday season with a big paper month at a glance calendar or the google calendar online. Knowing your upcoming commitments and plans keeps you from double booking. Review it weekly to keep on track with purchasing gifts and making goodies. Set deadlines on your calendar to get it all complete. It all starts with lists. Go into your gift closet and make a list of what you have purchased all year. Make a list of who you are giving gifts to this year. Make a list for Thanksgiving dinner, what will you serve and who will be attending. Lists make our life run like clockwork. Use a cute holiday spiral notebook or your smart phone notes section. Shop online at www.amazon.com to get discounted items and often free shipping. Gather your family together to decorate your home. Set a time, put on holiday music, and have a blast together. Go online to stores where you shop and get additional coupons for your purchases. Join their Facebook Business Pages to learn about sales and discounts. For families, give the gift of time together with memberships to the YMCA, Houston Children’s Museum, Houston Zoo or Houston Museum of Natural Science. Family gifts of an ice cream maker or a movie set are great way to connect. Think small this year! Make a holiday playlist to get you in the mood and keep your attitude jolly. Many of our favorite artists, from Sinatra to Michael Buble, have their own holiday albums to listen to. Or make your own with Pandora. Use www.usps.com to mail your boxes. Create your shipping label at home and skip the lines at the post office. Set early deadlines for you to get items off. Plan one family activity for your family to connect with our community. Talk to your family about what means the most to them and how they can contribute. Bring your items to the philanthropy with your kids to share the real meaning of the season. There are lots of needs around us this year. It’s a love/hate relationship with paper! What do we keep? How long do we keep it? Or are you just overwhelmed by it and can’t even get started! What’s a person to do? Working with paper if you are ADD/ADHD, hone in on your strengths and personalize your systems and routines. Start by facing the fear, overwhelm and hatred (yes, a powerful emotion) about paper. It is an evil monster, an anchor, and the enemy. But now that we have vented, we are ready. Paper may never be easy, but something we can work through. Be brutal about what to keep and what to toss. Often we are keeping way to much! Using these resources, as well as asking your accountant, you will keep less and work with less paper. Keep paper from even coming in your home. Drop paper at the gas station when you are filling up. Shred paper by having a baby shredder in the kitchen. Say no to receipts for gas. It is very important to create “slots” to drop your paper. Everyone needs a command center with easy access. Here is where papers that need action start. If you need to have a basket just to hold paper until “processed,” it can sit where you normally drop the paper. In the command center are the actions you need to do. Label the slots with what you call these items. Action, Pay, File are all required here. But in addition you might have Pending, one for each of your kids and your partner, Receipts, and Contacts. Next step is to create your files, which are the papers you will reference in the next year. First decide what to keep and how long. Don’t get overwhelmed, thinking about how much you have back logged on paper here. Just work in 15 minute segments with a timer. Everyone can do this for 15 minutes! Start with general categories, like Auto/Home, Finance and Personal. Keeping categories general makes it simple to file and simpler filing means more filing! Add an archive section for required papers. This includes your taxes, legal documents, and other long term papers. You may need to add a section for investments that are getting to be a very large volume. Keep your important documents like birth certificates, marriage certificates, divorce decrees, wills and related papers in a safe or safe deposit box. You will always know where these are. Sounds like a big project? 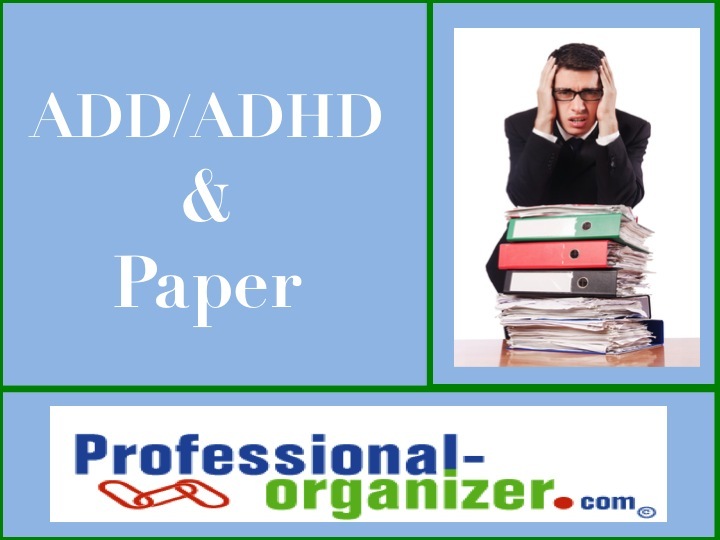 Get help each step of the way with a professional organizer, trusted friend or reliable assistant in turning your paper into a workable system. It is worth the work to create what works for you! Image courtesy of the Container Store.